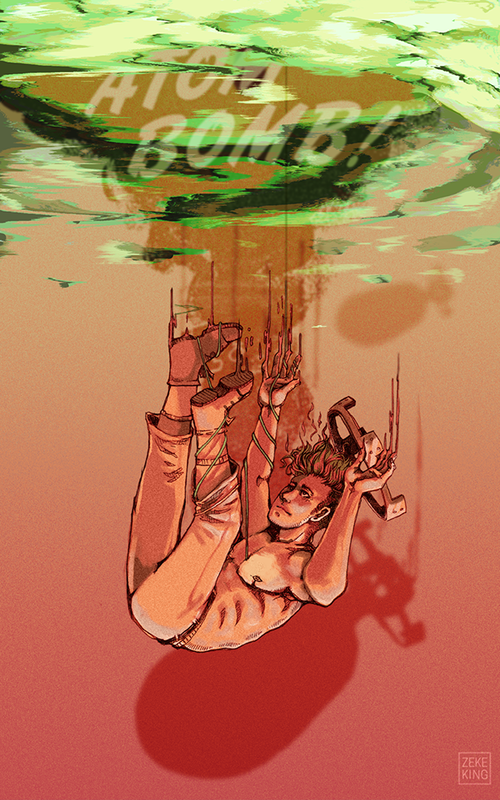 A for-fun piece loosely based off of or inspired by the song Atom Bomb by Red Vox. It's honestly in response to how, with what's been going on in the news of late, I feel like just my identity as a queer American is some sort of nuclear issue. This is a personal interpretation of the song and not official. A for-fun piece in response to listening to the song Atom Bomb by the band Red Vox a couple too many times. Featured on Vinesauce.